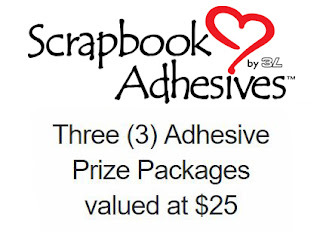 I am super excited to be participating in this Blog Co-Hop with the Paper House Productions and Scrapbook Adhesives by 3L Design Teams!! There will be projects everyday and some great prizes from both companies!!! Today is my day to share over at the Paper House Productions Blog along with fellow designer Christine Meyer. Be sure to head over to the blog post, check out her project and video! Here is the fun layout I created. The Paradise Found collection includes a Florida kit, a Cruise kit, and a general Beach kit! That means they have just what you need to create the perfect Paradise themed page. I used the Florida kit for this sweet little girl layout. Combining the collection with the E-Z Runner made it quick to put things together. And of course the added dimension comes courtesy of the 3D Foam Squares. For those of you that use Electronic Cutters, I am sharing the cut files I created to complete my layout. The download contains the file in: AI, EPS, SVG and WPC formats! ❤️ your fun layout and the cut file ROCKS! I am looking forward to seeing what you create this week for the hop! Tomorrow's sneak peek has me on the edge of my 💺 and I can't wait to see the whole shebang! See you then! TFS! Love the beach page. Very cute! The Circles and Circles layout is awesome. Can't wait to see the next post...looks very patriotic! WHat a beautiful layout ! Love all the circles! Thank you for the free file! Your layout is very cute....I don't use cut files buy I know others will appreciate that freebie as well! what a great layout and thanks for the cut files. I can't wait to give it a try. The sneak peek looks great. I'll be back tomorrow. Love the layout. Perfect for beach and pool pages! Such a perfect layout for your fabulous pictures of your little sweetie. Thanks so much for sharing...and for the sweet svg file. Your fabulous layout is great with all the layers, patterns, and those great pics!! So fun and thank you for the cut file!!!! Have been using punches and dies to achieve that! This is so much better! !